This engaging and practical training course is available now throughout Malaysia, including Kuala Lumpur. 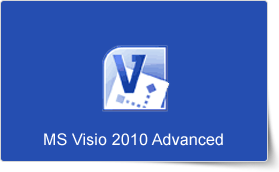 This Visio 2010 Advanced training course running in Kuala Lumpur and Malaysia wide, builds on the concepts and skills taught in Visio 2010: Introduction. Participants will learn how to work with layers, create custom shapes, themes, stencils and templates, and create business and project management diagrams.